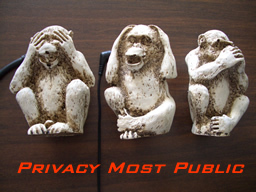 Privacy Most Public, by Andrew Burt (Science Fiction, 16000 words, read 25% free) In the future, the Minuteman software system listens to all phone calls, reads all messages, watches everything, to keep Americans safe... but what happens when it mis-hears what someone says? Who's watching the watchers? The Flight of the Sarah Mae, by Andrew Burt (Science Fiction, 16000 words, read 25% free) Walsh McKeeg had tried before to salvage the wreck of the old bomber from the desolate planet where they'd crashed during the war. Was the old girl up to one last flight when it really mattered -- and could Walsh overcome his own ghosts? Delta Pi, by Andrew Burt (Science Fiction, 5300 words, read 15% free) A Hard SF story about Math. Whoever says Pi is a constant simply hasn't checked it precisely enough — which may be a good thing! An Affliction of Wyrms, by Bud Sparhawk (Fantasy, 14500 words, read 20% free) Arthur, the magician, must discover how to release a captive princess, rid the village of a curse, deal with the romantic problems of his helper, deal with the bureauocracy, and do something about that spavinned flying horse he's been saddled with. This is a comic mystery story, of course. Revenge of the Kosher Voles, by Joe Murphy (Fantasy, 6080 words, read 40% free) Alaskan's deep, dark winters can be unsettling for a newcomer like Dolan--especially when he must atone for past lives. The Merlady on the Isle, by J.A.Howe (Fantasy, 1850 words, read 25% free) Fairy tale about how trees came to land... you'd never guess that a mermaid caused it all. Buggy, by Tony Thorne MBE (Science Fiction, 2765 words, read 30% free) Those famous three Laws of Robotics may have had a few loopholes. What if a robot is used for nefarious activities ..? A Lesson in Texas Magic, by Joe Murphy (Fantasy, 7180 words, read 35% free) A hot tempered elf recieves a lesson in Texas Magic from a crumpled up sword-slinger with a hidden agenda. Stumbling in the Language of a Dead Planet, by Joe Murphy (Science Fiction, 9880 words, read 40% free) So, The First had faced the same choices as humanity. Like the Purists, they had decided to end their lives rather than mutilate their flesh with micro gadgetry. They had chosen to be mortal or they would still exist. Could death be the common ground? It's Not a Romantic Thing, Really, by Christopher B Jorgensen (Science Fiction, 5000 words, read 30% free) After causing a deadly rocket crash on an alien moon, it's up to Tom to save his beautiful captain from the creatures that dwell within. Nessie Thirteen, by Tony Thorne MBE (Science Fiction, 1710 words, read 30% free) A off-beat look into the mystery of that (in) famous Loch. Killer, by Tony Thorne MBE (Science Fiction, 2750 words, read 35% free) A desperate owner plans to confuse his robot into doing something otherwise illegal. Sons of Thunder, by Edward Carmien (Fantasy, 4300 words, read 20% free) In this contemporary fantasy, learn what happens when a street missionary accosts a man who turns out to be more than she can imagine.... "Sons of Thunder" first appeared in the DAW Books anthology _Earth, Air, Fire, Water_, edited by Margaret Weis (ISBN 0886778573, Nov 1999). Emerging Technologies, by Thomas A. Easton (Non-fiction, 35000 words, read 15% free) A discussion of emerging technologies, mostly computer-related. The free portion lists specific technologies and explains the genesis of this book inmy Emerging Technologies course. Freakshow, by Richard Jones (Science Fiction, 4900 words, read 25% free) In which we learn the dangers of letting a severed hand have the run of a mad scientist's laboratory. Dead End Jump, by Elle Pepper (Science Fiction, 1000 words, read 55% free) The life you save may be...your own? The Wanderer: An Urban Legend, by Elle Pepper (Science Fiction, 4000 words, read 5% free) What does justice look like in the future? Maybe a little like this? Twelve Steps: The life and Death of, by Elle Pepper (Science Fiction, 1800 words, read 5% free) Funny the choices life and war sometimes force you to make. The Runners, by Bob Buckley (Science Fiction, 8188 words, read 40% free) Four scientists visit the closing moments of the Mesozoic and discover that the fossil record has not been totally accurate as to the capability of some dinosaurs. Havens in the Storm, by Stephen B. Pearl (Fantasy, 79000 words, read 15% free) Dominel, Prince of Bani, Captain of the Bani heavy cavalry, leads his men in a desperate bid to still the advance of the Storm, an army of monsters that are slowly conquering his world. Left for dead behind enemy lines Dominel must fend off the monsters while trying to find a way to resurrect the lost magic of his world, which is his only hope of stopping the Storm. Running from hiding place to hiding place he journeys to the last of the wizards’ strongholds, gaining the dubious companionship of a catatonic girl along the way. He arrives at the stronghold to find nothing human alive. However, when dealing with wizards, this isn’t the obstacle he at first believes, and his instruction begins. Now the race is on. Can Dominel master magic before the forces of the Storm destroy his stronghold? Will he be able to heal the shattered mind of the girl? Will he be king enough to rally his downtrodden people for a final effort? Will he be wizard enough to lead them to the safe haven prepared for them by the ancient mages, or is humanity doomed to become a slave race to the monstrous Storm? By high magic, low trickery and the bravery of the desperate, all these questions are answered in HAVENS IN THE STORM. Backwater Blues, by Josh Rogan (Literary/non-genre, 4000 words, read 50% free) 'Backwater Blues' by Josh Rogan. Ogdenborough is a small rain-lashed backwater in the English Lake District. Nothing much of note ever happens there - usually. Young Gerard Frazzell, harrassed into arranging the evening's entertainment for the annual village gala day and evening, unwittingly causes the biggest stir this tiny Cumbrian outpost has ever seen. Legends Reborn, by Carol Hightshoe (Science Fiction, 4902 words, read 25% free) In a world that was destroyed by war over two centuries ago, humanity is losing the struggle to survive. “We should never presume to dominate this planet and its resources the way the Ancestors did, but neither should we completely withdraw. That’s what we’re doing, and it’s destroying us. Mankind is disappearing from this planet.” Gwendolyn Robbins - Senior Geneticist for the World Wildlife Foundation risks her own life to violate the laws set forth by the World Council to find a way to return Balance and Hope to the world. Changelings, by Leah Cypess (Fantasy, 4000 words, read 35% free) Two girls banished from Faerie meet on a city sidewalk. One claims she knows the way back, but she isn’t telling everything she knows…. “Changelings” was originally published in the fourth issue of Odyssey (1998). The Hunt, by David Sherman (Horror, 92000 words, read 10% free) Vampires are real. Vampires go out during the day. Vampires can eat garlic. Vampires aren't afraid of crucifixes. Rocks is a vampire hunter. Rocks is the best at what he does. Rocks knows all the vampire tricks. Rocks is a vampire. Temple of Stone, by Leah Cypess (Fantasy, 3600 words, read 45% free) A priestess in an underground temple is faced with a terrible choice…. This story was first published in Issue #35 of Marion Zimmer Bradley’s Fantasy Magazine. The Ground Under Man, by Daniel Pearlman (Science Fiction, 6300 words, read 100% free) The last mortician on a post-burial earth is vilified as a social deviant as he stubbornly persists in trying to deposit his beloved wife's corpse in the ground. The Ballad of the Horny Jay, by JA Howe (Science Fiction, 6584 words, read 25% free) ...so, how ARE we going to get into space? During an era of terrorism and commercialism, what happens when the two come together unexpectedly? Russka's Last Painting, by Keesa Renee DuPre (Fantasy, 2000 words, read 45% free) Russka's skill as an artist has given her fame and the patronage of a wealthy art lover. But only the Creator can grant her heart's secret desire. The Heart of the Two-Mile Game, by Jerry Emerson Loomis (Science Fiction, 2700 words, read 45% free) The world ends on a dark night, walking in the rain. The world ends half-way across a wet street, with a car skidding suddenly around the corner in a drunken left turn. Blazing headlights. Then the impact . . . . I wish I'd told her how I loved her . . . .
To Name a Star, by Keesa Renee DuPre (Fantasy, 2500 words, read 40% free) We name the things we love the most. Do we hope by this action to claim them as ours? Manhattan Transfer, by John E. Stith (Science Fiction, 135000 words, read 10% free) Manhattan is kidnapped by aliens. Read all about it. A Hugo Award Honorable Mention. Locus said: "Considerable ingenuity...Think of it as a visually spectacular movie...and a really outstanding, imaginative, and professional production staff and special effects crew working to bring off the big set-pieces and guarantee the thrills." Stealing the Seed, by Jane Routley & Rebecca Locksley (Science Fiction, 10000 words, read 30% free) In a world where the sexes are at war, Yani Kanedies is a secret agent struggling to complete her mission by stealing the seed. First published on Eidolon. Cyber Hunt, by Scott M. Sandridge (Science Fiction, 2200 words, read 40% free) Zapped by Alien Skin in their April/May 2006 issue, this is the new, revised version of "Cyber Hunt." Captain Amanda McVae and Wiley of the Eagle Federation track down a Dragon Army Cyber on the Hellish moon, Io. Selection Day, by Michael Seidel (Science Fiction, 3600 words, read 40% free) A son begins to learn the consequences of his father's choices and thinks twice about being saved from the sleep program. Juxt, Terrel and Malcolm, by D.F. Coe (Fantasy, 744 words, read 100% free) The bard, Juxt, has a chilling experience. The Mithril Scale, by D.F. Coe (Fantasy, 8505 words, read 35% free) Boober and the Association try to steal from a goddess. The Junkyard Dogs, by David Sherman (Literary/non-genre, 121000 words, read 20% free) US Marines in Vietnam. Three Marines from a Combined Action Platoon become involved with the CIA's secret Project Phoenix. Along the way, they discover an NVA plan to attack their outpost and wipe it out. The Sigil, by Henry Gee (Science Fiction, 178500 words, read 100% free) Jack Corstorphine is a man with a rare intuition. He is convinced that the landscape of Europe hides a civilization a million years old. Jadis Markham has a gift for analysis -- she can reach solutions while everyone else is still grappling with the problem. Together, they change the face of prehistory. But prehistory bites back. Forces almost beyond imagination are stirring in Jack and Jadis' world, among the worlds of their friends -- their scientist-priest mentor Domingo, and their adopted son, Tom -- and among the stars. The Sigil is an epic of near-future SF about the nature of the past, religion, love and the nature of humanity. About the author: Henry Gee is a Senior Editor of the international science magazine Nature, where he devised and edited the award-winning Futures series of SF short stories. His previous books include The Science of Middle-earth, Jacob's Ladder and In Search of Deep Time. The Sigil is his first novel. Iko-Iko, by Henry Gee (Science Fiction, 4400 words, read 100% free) If you go down to the woods today, you'll be in for a big surprise. Puncher's Chance, by James Grayson & Kathy Ferguson (Science Fiction, 20000 words, read 50% free) The lead novella in Analog SFF in June 2006, Puncher's Chance is the story of an ill-fated mission to Mars in the near future, where the crew of the McAuliffe have to battle against time- -and each other--to rescue a doomed colony. "Sometimes playing it safe is not an option." Save-A-Door Dali, by Barry Rosenberg (Fantasy, 4000 words, read 35% free) Kissing cane toads doesn't work quite the same way as kissing frogs. Mid-summer night's dream gone slightly wrong. Motherload, by David Collins-Rivera (Science Fiction, 24000 words, read 100% free) A remote corner of a bleak system... A broken-down gunboat, stuck in space... An incompetent captain and a misfit crew... A pirate ship, a silent target, and a whole bunch of secrets... So how's YOUR day going? Mutant Blues, by J-F Dube (Science Fiction, 85000 words, read 30% free) One would think you’d have enough on your plate just being one of the six Recon team of C-MET, the most technologically advanced military project on Earth. Then your boss asks you to meet face to face with outsystem emissaries: those so-called New Humans, the accursed mutants who left the Earth 200 years ago to colonize the neighboring solar systems. It was good riddance, wasn’t it? And the few of them that stayed here are a constant pain in the you-know-what, so, what good can come out of such a meeting? Well, Team Leader Tamby Wa and partner Nagga Fox, the two most dangerous women on the planet, backed-up by invincible bodyguards hidden in a constructed universe and the might of 24th century True Human science are ready for anything. Or are they really? The Adventure of the Field Theorems, by Vonda N. McIntyre (Science Fiction, 11000 words, read 50% free) Sir Arthur Conan Doyle hires Sherlock Holmes to investigate crop circles. First published in Sherlock Holmes in Orbit, ed. Mike Resnick & Martin Harry Greenberg, DAW, 1995. Rock 'n' Roll Universe, by Ken Rand (Fantasy, 36000 words, read 100% free) The Summer of Love – and the end of the world. Haight-Asbury, San Francisco, August 5, 1967. Five hippies form a band they call Rock ‘n’ Roll Universe. All they want to do is get high, make love, make music – and get on the cover of the Rolling Stone. But when they encounter a Very Strange Fellow in the Golden Gate Park, very strange things happen, and mind-boggling forces propel the group into a cosmic battle for the very fate of the universe. Rock ‘n’ roll made them. And only rock ‘n’ roll can save them. The Blue The Gray and The Dead, by D.A. Pennington (Horror, 4700 words, read 30% free) Civil war fought with zombies. The Choice, by David Bure (Fantasy, words, read 50% free) A man wakes up on an Island with only a name. He has a mission to complete, but no one will tell him what it is. Henry Potty and the Deathly Paper Shortage: An Unauthorized Parody, by Valerie Estelle Frankel (Fantasy, 47000 words, read 25% free) Unapproved, unendorsed, unofficial, and unstoppable: An award-winning parody for all ages. The devious Lord Revolting has split his soul into seven Plot Devices, from the One Ring to Coloring Book of Doom. Destroying the Ministry of Muckups, he launches himself on a campaign of terror and ruthlessness, the likes of which hasn’t been seen since the last Wizneyland Princess Beach Week. Can Henry Potty, lousy student and heroic Chosen One, destroy the Plot Devices in time? Or will a paper shortage kill him, as the loudmouthed ghost of Bumbling Bore foresees? Join Henry as he duels unexploded mimes, flying monkeys, telemarketers, and the dreaded Tooth Fairy. It’s a race against National Treasures, Legions of Dimness, and Miniclorians, from the Funhouse of Terror to Chickenfeet Academy. But if Henry wants to recoup his fans from Professor Sniffly Snort, he must try. As the epic battle nears, only one thing is certain: Henry Potty’s series is numbered. Cats Don't Fly, by La Juana Williams (Mystery, 88000 words, read 35% free) Something evil has invaded the town of Tiller and women are dying. Robert Whittier, a recent parolee from California, has come to Tiller to do a job. It entails killing successful businesswomen and homemakers, not his usual demographic, but he has a job to do. Since her recent accident, Ray Taylor has been having dreams and visions of sorts, some that relate to the murders. But Ray’s fledgling psychic abilities are erratic and not terribly accurate. When she sees a local farmer in mortal danger, she ignores her usual instinct to stay out of other people’s business, and warns him. The results are more tragic than she could have imagined and some of the town’s folk think her involvement was far more sinister than a mere premonition. The notoriety causes ugly rumors to surface about events that took place in her family when she was a child. She turns to Forrest Black, the new reporter at the Tiller Times, to help her dig up clues from the past that might reveal her father’s killer. Forrest is also a new arrival from California, carrying his own dark secret. Through a series of events and fragmented psychic clues, Ray realizes the killer is a close, somehow connected to her inner circle and if he isn’t stopped she and those closest to her could become his next victims. The Pain Within, by Jasmine Diaz (Literary/non-genre, 1300 words, read 30% free) Jamie has gone through some tough things. He's always feel that internal pain. And now he wants it to stop, for it all to end. But will he be able to end it? 10 Seconds into the Future, by Neta Priel (Science Fiction, 2200 words, read 50% free) Careful what you wish for! How a simple and controlled experiment in developing a time machine can make life a living hell. The Destiny of our Making, by D.E. Bowers (Science Fiction, 96000 words, read 35% free) William Wilkes is an accomplished soldier accepting the responsibility of blending a savage military world with the civilian population by retraining them in a new understanding and acceptance of everyone who occupies the Continent. Jamie Darans is the Creator of the Artificial Intelligence, which merges the five territories of the Continent, after a disastrous attack by a meteor shower, which occurs every five hundred years. The meeting of the two distinct personalities brings a new challenge to the surface, the merging of advancing technology and simplicity of everyday life. Sweetmeats, by Frej Wasastjerna (Fantasy, 2000 words, read 100% free) Linetta of the Dragon Patrol and Grendygla, her highly articulate dragon, face a pack of undead. Dominion, by J. L. Bryan (Science Fiction, 83000 words, read 100% free) In the year 2036, the United States of America is ruled by a totalitarian regime controlling all information: education, religion, the mass media, and the internet. Daniel Ruppert is a talking head for the most popular nightly news program in southern California. Restless and weary of reporting propaganda, Ruppert begins digging for the truth. His urge to know puts his career, life, and family at risk as he discovers the clandestine North Atlantic Psychological Command--PSYCOM--and how it manipulates the minds of the Western world. He's following the trail of PSYCOM's darkest secret--and he'll find it, if he can survive. Sad, by J.A.R. Topper (Fantasy, 99800 words, read 40% free) A warlord from a bygone era comes to Earth in human form. But why is she here and what is she looking for? Her time is running out. The Trial, by Dean Murray (Fantasy, 68000 words, read 35% free) Driven from their homes hundreds of years ago, the People have made their home inside caves at the top of the White Spike mountain range. Before She left, the Goddess created their laws and left a shadowy group of individuals to guide and protect Her chosen. Hundreds of years later, most of the outlying villages have forgotten whatever they might have known about the deadly Guadel whose word carries the weight of absolute law. An orphan nearly his entire life, Va'del wants nothing so much as to find a place in his village where he can belong. The invitation to join a visiting Guadel family initially feels like coming home, but events soon leave him more bitterly alone than ever. As a dangerous enemy circles ever closer, threatening the complete destruction of the People, Va'del is given the opportunity to avenge his adopted family and protect the things he's come to value above everything else. Set in 1600's Italy, The Dragon's Clause, is about the city of San Marino’s bargain with a dragon and how forgetfulness can lead to destruction. The Dragon's Clause was first published in the anthology, "Black Dragon, White Dragon" as San Marino and the Dragon. The Futre of Engineering, by Miriam Pia (Science Fiction, 1300 words, read 45% free) Excitement breaks out in an engineering lab when power goes out. Readers find out why but they also learn how the world of engineering has changed in the next 200 years. Idle Thoughts, by K.C. Randall (Horror, 1464 words, read 45% free) Everyone has idle thoughts about violence that they ignore. But for Lisa Phillips the temptation may be too great. *Very mild gore. The Legend of the Blue Unicorn, by Sybrina Durant (Fantasy, 5000 words, read 35% free) The Legend of the Blue Unicorn is a story about a tribe of 11 magical unicorns and one plain blue one. Read about Blue’s adventure to save his tribe from the unicorn eating Manticore and how he gains his own magic along the way. Promise Kept, by Brandy Hunt (Science Fiction, 60000 words, read 15% free) In a world full of the relics of the past and the toys of the future, Lila Howell is a psychic who struggles to remain ethical in the face of her government's demands. Currently, her government is demanding that she use her job to retrieve information from Susanne Newton. She must make a decision between keeping her life or reaching for something more. Starfighter, Season 1, Episode 1, by Chase Preston Davies (Science Fiction, 5000 words, read 100% free) Jak Skinner is the new leader of Death's Head squadron, a special forces starfighter unit. When a member of his squadron dies in combat, Jak is not only forced to deal with the guilt of his friend's death, but the prospect of replacing him, as well. Read this first installment in the exciting new space opera serial - Starfighter. Starfighter is serial, and is like a T.V. series - in written form. Black Rose, by Matt R. Anderson (Mystery, 2704 words, read 100% free) Growing up in a small town having no friends his own age, a little boy meets someone that changes his life. Gulf Shores, by Matt R. Anderson (Mystery, 1500 words, read 100% free) A beach walking man falls in love with a local bartender from a local beach bar. But does she know him?